Half the elephants in Ruaha National Park in Tanzania have been killed by poachers in the last year year, according to new figures. Elephant numbers in the Park have dropped from 8,500 in 2014 to just over 4,200 now. 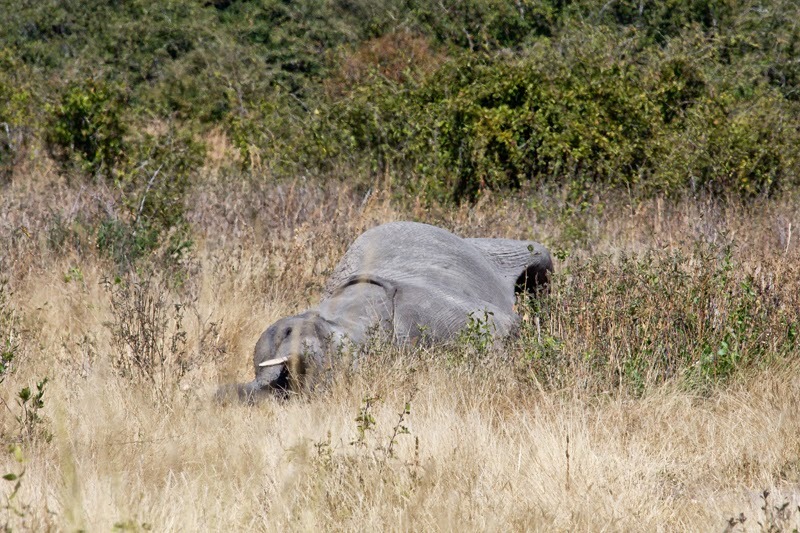 In the Ruaha-Rungwa-Muhesi ecosystem, the slaughter is even worse. Only 8,200 elephants remain, down from over 20,000 a year ago, researchers say. The proportion of bull elephants older than 40, prized by poachers for their enormous tusks, had reduced by 72%. The Tanzanian government received the report in January this year but has so far hushed it up, citing the need for “secondary validation.” Conservationists believe it is more likely to be due to embarrassment, and also the fact that wildlife tourism accounts for 16% of Tanzania’s economy and the government does not want to adversely affect the number of people visiting the country. The findings are part of the Great Elephant Census, an ongoing two-year project to conduct an aerial survey of elephant numbers and distribution across all of the range states in Africa. It is due to complete at the end of this year. Well they would, wouldn't they. And while we are on the subject of poaching and corruption. What happened to the report presented to the President of Tanzania by Khamis Kagasheki before he was relieved of his position as Minister of Natural Resources and Tourism in late 2013, which named the names of government ministers alleged to be heavily involved in large scale poaching operations? None have been investigated. But the final blame must lie with China. When will China STOP the Sale of Ivory. As I see it they are stealing another nation's resources and openly selling them on their streets. It is STOLEN PROPERTY. Why aren't the World's governments bringing pressure to bear on them to close down this barbaric industry?